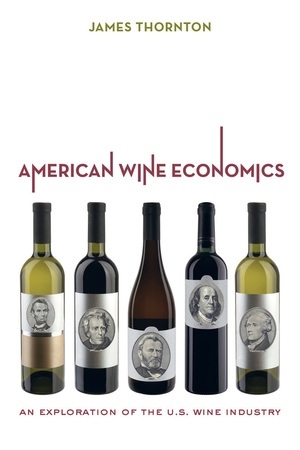 To explain the economic organization of wine production and consumption and the behavior of American wine firms and consumers, it is necessary to apply a set of basic economic concepts and principles. This chapter begins by explaining the important ideas of scarcity, choice, opportunity cost, rational self-interest, and economic incentives. These concepts are then used to develop the logic of choices by wine consumers and wine firms and the principles of individual demand and supply. Lastly, supply-and-demand analysis is presented as an analytical tool that can be used to organize our thinking about how buyers and sellers interact in the wine market, and how the quantities of wine grapes and wine traded and their prices emerge from these interactions. The fundamental economic problem that confronts all of humanity is scarcity, which arises from two incontrovertible facts of life: human wants and desires are unlimited, but the resources available to satisfy those wants and desires are limited. As a nation, the United States does not have enough labor, capital, and natural resources to produce all of the wine, food, automobiles, cell phones, computers, education, healthcare, and countless other goods and services that Americans want. Because resources are scarce in relation to wants and desires, individuals, business firms, and entire nations must continuously choose among alternative uses for their scarce resources. Choosing is a direct consequence of scarcity. Someone with limited money and time must decide whether to spend $50 on a bottle of luxury wine, or two bottles of premium wine, or a new sweater, or a new garden tool; sleep an extra hour or read the morning paper; work an extra hour or take an additional hour of leisure. A farmer must decide whether to use his own time, land, and capital equipment to grow grapes, apples, peaches, nuts, or some other crop. A wine firm must choose the type of varietal or blended wine to employ its winemaker, cellar workers, fermentation tanks, maturation vessels, and bottling line to produce. The nation as a whole must determine the amount of wine and other goods and services to produce with its scarce labor, capital, and natural resources. Whenever a choice is made, a cost is incurred. Economists call this opportunity cost. The opportunity cost of a choice is the benefit forgone from not using the resources engaged for their next best alternative. This forgone benefit is the value the decision maker places on the alternative. For example, if one chooses to use $100 to purchase a bottle of Silver Oak Cabernet Sauvignon, the opportunity cost is the benefit forgone from not using this $100 to buy something else, such as a new shirt and pair of pants. If one chooses to use two hours to attend a "free" wine-tasting event sponsored by a local wine shop, the opportunity cost is the benefit forgone from not using this time for another activity, such as watching a football game. If one owns five acres of land and chooses to grow grapes on it, the opportunity cost is the benefit forgone from the most highly valued alternative use of the land. Suppose the land has two alternative uses. One can also use it to build a house or sell it for, say, $25,000. If the perceived next best use of the land is for a house, the opportunity cost of using it as a vineyard is the satisfaction of living in a home on the land. On the other hand, if the perceived next best use of the land is to sell it for $25,000, the opportunity cost is the benefit of the other goods and services the money could have purchased or the return on investing the money. The concept of opportunity cost tells us that in a world of scarcity, there is no such thing as a free lunch: you can't get something for nothing. The above examples illustrate that opportunity cost may or may not involve money, and if it does involve money, the real cost is the resources, goods, or services those dollars could have purchased. It is useful to make a distinction between two types of opportunity costs. An explicit cost is a money payment that an individual or business firm makes to another party; an implicit cost does not entail a money outlay. Because explicit costs arise from expenditures that are actually made, such as paying $25 for a bottle of wine or $1,000 for an acre of land, they are relatively easy to observe and measure. However, implicit costs are typically not obvious and are revealed by careful consideration of a choice situation. Economists often impute a monetary value to these costs so that they can be compared to explicit costs. In fact, whenever possible, economists measure opportunity cost in dollars, facilitating comparison of different types of costs. Implicit costs associated with wine firms' choices often involve money payments forgone. Consider the following applications of the concept of implicit cost. The most important input used to produce wine is grapes. Many wine firms own vineyard land and grow some or all of the grapes used to produce their wine. While these firms incur no explicit cost in the form of rent, the implicit cost is the money payment forgone from not renting the land to someone else. Conceptually, there is no difference between making a money payment of, say, $1,000 to rent vineyard land from someone else or forgoing a money payment of $1,000 by not renting vineyard land you own to someone else: both of these alternatives involve giving up $1,000. The implicit cost these firms incur from choosing to use the grapes they grow to produce their own wine is the money forgone from not selling them at the going price. To increase grape quality, some of these firms choose to reduce the number of grape clusters per vine several months before harvest by sending workers into the vineyard to cut off grape bunches, allowing them to fall to the ground and rot. The explicit cost of this choice is any money outlay required for the services of the workers who perform the cluster pruning. However, there is also an implicit cost, which is the money payment forgone from not harvesting and selling these grapes or the wine they could have produced. A choice that wine producers must make is whether to mature wine in a stainless-steel tank or an oak barrel. Unlike in a stainless-steel tank, wine evaporates in an oak barrel at a rate of as much as 10 to 12 percent per year. The opportunity cost of choosing an oak barrel is the sum of the money outlay for the barrel and the revenue lost to this evaporation. Many wine firms are owned and operated by self-employed proprietors who perform many of the winemaking tasks. The implicit cost of the time provided by the proprietor to his firm is the money forgone from not providing winemaking services to other firms who hire winemakers as employees or consultants. Implicit costs associated with wine consumers' choices typically do not entail a money payment forgone, and usually involve the value of an individual's time in its next best use. When a consumer purchases wine, she or he typically incurs both an explicit cost and an implicit cost. Making a wine purchase usually involves gathering information about the prices and qualities of available wines, traveling to a store where wine is sold, and paying for it. The explicit cost is the price of the wine, transportation, and any out-of-pocket payments for sources of information on available wines and their prices, such as wine guides. The implicit cost is the opportunity cost of the time devoted to gathering information and purchasing the wine. This may include time spent visiting different stores to obtain information on prices and wines recommended by salespeople, reading wine labels, magazines, studying wine-related websites, and talking with friends. The implicit cost of purchasing wine is the value of this time in its next best alternative use. It is sometimes estimated by a person's wage rate: a higher wage is associated with a higher implicit cost for any given amount of time devoted to a wine purchase. The same wine often sells at different prices in different stores in the same market area. However, the opportunity cost of purchasing the higher-priced bottle may actually be less than that of the lower-priced bottle, taking into account the implicit cost of the time required to search for the cheaper wine. For example, suppose that a computer programmer who makes $30 per hour desires to purchase a bottle of Caymus Cabernet Sauvignon. He knows this wine is selling for $70 at a wine shop close to his house, so that it would require only ten minutes to make the purchase. Suppose that by spending an hour searching other stores in his town, he could find one that charges the lower price of $60 for the same wine. If we use his wage rate as an approximation of the value he places on his time, the actual cost of purchasing the cheaper wine is $90 and that of the high-priced wine is only $75. Scarcity requires individuals to make choices, and the choices people make determine how they behave. But exactly how are these choices made? Economists assume that people make rational choices that are in their own self-interest. People act in their own self-interest when they attempt to go as far as possible to satisfy their own wants and desires. Self-interest does not necessarily imply that people are greedy or selfish; it allows them to have a variety of wants and desires. One person's wants may be limited to material goods, while another may have wants that are aesthetic or include the welfare of others. For example, some people may want to donate time or money to charitable organizations to benefit the less fortunate. A wine proprietor may want to produce wine as an artistic expression or grow organic grapes to benefit the environment. Anything a person wants is considered a good. The more a person values a good, the more satisfaction he or she gets from the good. Economists call this satisfaction utility. Therefore, an individual acts in his own self-interest when he attempts to maximize his utility. To maximize utility, individuals make rational choices. When making a rational choice, people behave as if they consider the benefit and cost of an alternative and choose the alternative only if the benefit exceeds the cost. Cost is always opportunity cost, which is the benefit forgone from not choosing the next best alternative. In the nomenclature of economics, benefit is another word for the value a person places on a good or the utility he or she derives from a good. To say that people maximize utility is another way of saying they maximize net benefits. Rational behavior can be thought of as subjective cost-benefit analysis. Rational decision-making also considers marginal benefit and marginal cost. These are the additional benefit and the additional cost of choosing an alternative. For example, when deciding how many bottles of wine to buy, a rational consumer considers the marginal benefit and marginal cost of each additional bottle and buys more if marginal benefit exceeds marginal cost. . When deciding how many cases of wine to make, a proprietor considers the benefit and cost of each additional case produced, and expands production as long as marginal benefit exceeds marginal cost. Marginal cost does not include any cost not affected by choosing an alternative. These unaffected costs are called sunk costs. For example, when a proprietor is deciding whether to produce an additional case of wine, overhead costs such as rent on the winemaking facility and property taxes are sunk costs. A rational proprietor will ignore these costs, because they do not vary with the number of cases of wine produced. Finally, rational decision making does not require that people have complete information about the set of alternatives from which they are able to choose. Information itself is scarce and expensive. When making a choice, a rational individual will continue to gather additional information as long as the marginal benefit exceeds the marginal cost. Rational behavior can result in mistakes. A rational consumer may regret purchasing a bottle of wine despite having expected the benefit to exceed the cost based on the available information when making the choice. The assumption of rational self-interest implies that wine consumers choose the combination of wine products and other goods and services that maximize their utility, given their money and time resources, which limit their available alternatives. They do this by purchasing additional units of a wine, other good, or service only if the marginal benefit exceeds the marginal cost. But what does it mean for wine firms to make rational self-interested choices? Wine firms do not make choices; individuals make choices. The individuals who typically make choices in firms are the owners or managers. Like consumers, the owners of wine firms attempt to maximize their utility. To maximize utility, economists typically assume that the owners of a firm, or managers who act on their behalf, attempt to maximize the firm's profit. Profit is the difference between total revenue and total cost. By maximizing the firm's profit, the owners maximize their personal income or money resources. And by maximizing their money resources, they maximize the amount of goods and services they are able to purchase and consume, and therefore the level of utility they can attain. This argument suggests that profit maximization is a logical consequence of utility maximization. However, there are certain conditions under which utility maximization does not necessarily imply profit maximization, and profit maximization may not therefore be a reasonable approximation of what motivates wine firms to make the choices they do. Consider a large wine firm that is a publicly traded corporation with thousands of owners who are stockholders, such as Constellation Brands or Treasury Wine Estates. The managers who make business decisions in these big firms are not necessarily the owners. In seeking to maximize their utility, these managers may choose to trade firm profit for sources of personal satisfaction such as posh offices, private planes, country club memberships, and the prestige of managing a large and growing firm, albeit one that exceeds the most efficient size. Alternatively, consider a relatively small wine firm whose owner does make the decisions for the firm. Suppose that the owner derives utility from a good that cannot be purchased in the marketplace, but can only be obtained through ownership of a wine firm. These types of nonmarket goods may include nepotism, living the wine proprietor's lifestyle, and the aesthetic value of making a high-quality wine. To maximize personal utility, the owner may choose to trade off a certain amount of profit for these sources of satisfaction. For example, recall that some wine firms choose to use cluster pruning to decrease the number of grape bunches per vine to increase wine quality. A rational proprietor will choose to undertake cluster pruning only if the expected benefit exceeds the opportunity cost. The opportunity cost of cluster pruning is the money payment made to workers who perform this activity plus the revenue forgone from the lower grape yield and wine output. If the objective of the proprietor is to maximize profit, the benefit of cluster pruning is the increase in revenue the proprietor expects to receive from selling a wine of higher quality. Suppose that the opportunity cost of cluster pruning of $20,000 exceeds the expected revenue gain of $15,000. A profit-maximizing proprietor would choose not to cluster-prune; doing so would decrease firm profit and his personal income by $5,000. However, suppose the proprietor derives aesthetic utility from the improvement in wine quality and would be willing to pay $10,000 for this nonmarket good if it could be purchased in the marketplace. The benefit of cluster pruning for this utility-maximizing proprietor is $25,000, and he would therefore rationally choose to trade $5,000 of profit for the utility he gets from the improvement in wine quality. The assumption of rational profit maximization may still be reasonable for large corporate wine firms and wine firms whose owners derive utility from nonmarket goods. A standard economic argument is that these types of wine firms must make profit-maximizing choices to survive in the industry. The applicability of this survival-of-the-fittest argument to the wine industry is discussed in detail in chapter 9. Moreover, through the board of directors, the owners of large wine firms can provide economic incentives to managers to induce them to make profit-maximizing decisions. Rational individuals respond to anything that affects the benefit or cost of choosing an alternative. Anything that increases benefit or decreases opportunity cost gives a rational individual an economic incentive to choose the alternative. Anything that decreases benefit or increases opportunity cost gives a rational individual an economic incentive not to choose the alternative. Economic incentives may or may not involve money. Those that involve money are called financial incentives. For example, an increase in the price of a wine gives wine consumers an economic incentive to choose to buy less of it, because the higher price increases the opportunity cost. A decrease in the amount of time required to search for a wine product lowers the opportunity cost of choosing to purchase it, and therefore gives wine consumers an economic incentive to buy more of it. When the board of directors of a large wine firm link the compensation of managers to profits through stock ownership, this provides an economic incentive for these managers to make profit-maximizing decisions. When a wine firm contracts with an independent vineyard to buy grapes at a fixed price per ton, this gives the wine firm an economic incentive to request riper fruit with a lower water content, which weighs less, because this decreases the opportunity cost of purchasing grapes. On the other hand, the grape grower has an economic incentive to harvest the grapes when they are less ripe and weigh more, since this increases the benefit received from grapes sold. Economists believe that economic incentives have an important influence on the behavior of individuals and firms. To understand how wine consumers and wine firms behave, it is necessary to understand the economic incentives they face. Economists have developed a simplified theory of choice to explain how consumers make decisions about what goods and services to purchase and how much of each of these to consume. The objective of a rational wine consumer is to maximize the utility of wine products and other goods and services, given the amount of money available, determined by income. The utility derived from a good is measured in dollars by the maximum amount of money the consumer is willing to pay for it. To decide how to spend in a manner that yields the greatest amount of utility, the consumer compares the benefit of a feasible consumption alternative to the cost, and chooses the alternative only if the benefit is greater than or equal to the cost. A rational consumer makes decisions by considering marginal benefit and marginal opportunity cost, where opportunity cost is the benefit forgone as a result of not spending money on the next best consumption alternative. To better understand the logic of rational consumer decision-making, consider the following example. Suppose that at the beginning of each week, Jill Oenophile shops for the wine she will drink during the subsequent seven-day period. Jill must decide whether to purchase a particular wine, such as Kendall-Jackson (KJ) Chardonnay, and, if so, how many bottles of it to buy. Assume that she is willing to pay $16 at most for one bottle of KJ, $12 for a second bottle, $8 for a third, and $4 for a fourth, but nothing at all for a fifth. This tells us that the marginal benefit of the first bottle is $16. This is a dollar measure of the utility she would derive from consuming one bottle of KJ during the week. It is the maximum amount of money she is willing to spend to purchase this first bottle. The marginal benefit of a second bottle of KJ is only $12. Her willingness to pay less for a second bottle indicates that while consuming this bottle would be enjoyable, it would yield less utility than the first. The marginal utility, and therefore the marginal benefit, of each additional bottle diminishes as evidenced by the successively smaller amount she is willing to pay for extra bottles. Consuming a fifth bottle of KJ during the week would provide Jill with no additional utility. This example reflects what economists call "the law of diminishing marginal utility." This law asserts that a typical individual eventually experiences less utility from each additional unit of a good consumed during a given period of time, and is therefore willing to pay less and less for these extra units. Suppose that the retail store where Jill does her shopping is selling KJ at a price of $12 per bottle. This price is a dollar measure of opportunity cost. She must forgo the benefit of $12 of other goods she could have consumed for each bottle of KJ purchased. If she is rational, how many bottles will Jill buy for the week? All those for which the marginal benefit, measured by the maximum amount of money she is willing to pay, is greater than or equal to the marginal cost as measured by price. Jill will buy a first bottle since she is willing to pay $16, but has to pay only $12, so she gets a net benefit of $4. She will purchase a second bottle because the amount she is willing to pay is equal to what she must pay. She will not buy a third bottle since the $8 she is willing to pay is less than the $12 price. For this bottle, the marginal cost exceeds the marginal benefit. To maximize her utility, or net benefits, Jill will purchase two bottles of KJ for consumption that week. Now, consider five alternative prices at which KJ might be sold: $20, $16, $12, $8, and $4. How many bottles will Jill purchase at each of these prices? Applying the above logic, to maximize utility, she would buy none at $20, one at $16, two at $12, three at $8, and four at $4. The inclination of a consumer to demand a larger quantity of a good when price falls and a smaller quantity when price rises, all else being equal, is called "the law of demand." It is a logical consequence of rational decision-making and the law of diminishing marginal utility. Because a typical individual is willing to pay less for each additional bottle of KJ, to induce her to buy more, the price would have to be lower and lower. If the five price-quantity possibilities are plotted on a two-dimensional graph with price on the vertical axis and quantity on the horizontal axis, a demand curve is obtained (see figure 1). This demand curve has two useful interpretations. It tells us the quantity of wine demanded at each possible price. Alternatively, it tells us the maximum price an individual is willing to pay for each additional bottle of wine. The amount of money a consumer like Jill is willing to pay for a wine such as KJ, and therefore the quantity she demands, depends upon several factors in addition to her tastes and preferences. An increase in Jill's income increases her ability to buy KJ, but may either increase or decrease her willingness to do so. If Jill is drinking KJ because she can't afford a more expensive Chardonnay, an increase in income may decrease the desirability of KJ, and she would then be willing to pay less for any given amount and want to buy less at any given price. Economists call a product an inferior good when demand decreases after a rise in income and increases after income falls. However, it is typically the case that at a higher income, an individual is both able and willing to pay more for a wine product, and will therefore want to buy more at the prevailing price. The opposite occurs at a lower level of income. Economists call this a normal good. The desirability of a particular good also depends upon the prices and quantities of related goods consumed. Suppose Jill enjoys drinking KJ with salmon and also finds Beringer Founders Estate to be a desirable substitute for KJ. The amount she is willing to pay for KJ is influenced by the prices she has to pay for salmon and the Beringer Chardonnay. At higher salmon prices, Jill eats less of it. This makes KJ less enjoyable, since these two complementary goods are consumed together. Alternatively, at lower prices of Beringer, it is a relatively better buy, and Jill may therefore find KJ to be less desirable. This is because she views these two brands of Chardonnay as goods that can be substituted for each other. The amount Jill is willing to pay for KJ, therefore, is less at higher fish and lower Beringer Chardonnay prices. Alternatively, she is willing to pay more at a lower price of fish and higher price of Beringer. Lastly, the higher the quality of a good, the more an individual is willing to pay for any given quantity. Jill would be willing to pay a higher price for KJ if she perceived an improvement in appearance, smell, and taste. Like wine consumers, the owners of a wine firm want to maximize their utility. As stated previously, if the owners control the firm and do not derive utility from firm-specific nonmarket goods, then to maximize utility, they will maximize profit. A rational profit-maximizing wine firm will choose to increase wine production, improve wine quality, invest in a new fermentation tank, devote more effort to marketing, or any other course of action only if the marginal benefit, measured by the additional revenue the firm expects to receive, is greater than or equal to the marginal opportunity cost. Two important choices a wine firm makes are the interdependent decisions of how much wine to produce and what price to charge. To better understand the logic of profit-maximizing decision making, consider a wine firm that must choose whether to increase wine output. It is currently producing 3,000 cases of a wine per year and receives a price of $11 per bottle, or $132 per twelve-bottle case. The wine is made in a leased winery from grapes grown in a vineyard that it owns. Surplus grapes not used to make this wine are sold on the wine-grape market. To grow the grapes and produce the wine, it purchases the services of hired labor, fuel, electricity, and other inputs that vary with the amount of grapes grown and wine produced. These inputs are called variable inputs, and the outlays made for them are called a variable cost. The winery and vineyard land are called fixed inputs and the cost associated with them fixed cost, because they do not vary with the amount of wine produced. The firm must decide whether to produce and sell an additional 1,000 cases of this wine next year. It faces a downward-sloping demand curve, and to induce consumers to purchase an additional 1,000 cases, it would therefore be required to reduce the price to $10 per bottle, or $120 per case. The marginal benefit of increasing production by 1,000 cases in the coming year is the additional revenue the firm would receive. Total revenue of 3,000 cases at $132 per case is $396,000. Total revenue of 4,000 cases at $120 per case is $480,000. The marginal benefit, therefore, is $84,000. The wine firm has a five-year winery lease and is contractually obligated to make an annual rental payment of $25,000. The cost of the variable inputs required to increase production is $49,500. The wine firm uses fifteen tons of its own surplus grapes, which it could have sold on the wine-grape market at $300 per ton. The marginal cost of producing the additional 1,000 cases of wine is $54,000. This measure of opportunity cost includes both the money payment made for variable inputs of $49,500 and the $4,500 money payment forgone because the extra fifteen tons of grapes used in the production of wine can no longer be sold on the wine-grape market. Both of these costs measure the dollar value of benefits forgone. The rental payment for the winery of $25,000 is a sunk cost, and therefore not included in the measure of marginal cost. The wine firm is obligated to make this payment regardless of whether it produces 3,000 or 4,000 cases per year. The cost of leasing the winery is unaffected by the decision to produce an extra 1,000 cases of wine. Because the marginal benefit of increasing production by 1,000 cases ($84,000) exceeds the marginal cost ($54,000), the wine firm will choose this alternative. By doing so, it increases annual profit by $30,000. Since the objective of the wine firm is to maximize profit, it will continue to increase production as long as the marginal benefit measured by the additional sales revenue generated exceeds the marginal cost measured by the money outlays for required variable inputs and money payments forgone from not using self-owned variable inputs in their next best area of employment. As the firm expands output, the marginal revenue of additional cases produced will fall: given consumer demand, more of this wine can be sold only by lowering price. Also, the marginal cost of production will typically rise as a consequence of the law of diminishing returns. This results from the constraint imposed by the size of the winery and the rate of production it can efficiently handle. As larger amounts of labor services and other variable inputs are used in the fixed wine production facility, the combination of inputs becomes less efficient and the cost of producing additional cases rises. As production approaches the capacity of the winery, marginal cost will rise sharply. The profit-maximizing level of output occurs where marginal revenue is equal to marginal cost. By behaving in this manner, the firm maximizes the difference between its total revenue and total cost and makes as much money as possible for the owners, given the constraints it faces. How will a profit-maximizing wine firm respond to a change in the demand for its product resulting from a change in consumer tastes, income, or prices of related goods? For example, suppose the marginal revenue of the last case of wine produced equals the marginal cost at an annual rate of production of 5,000 cases and a price of $9 per bottle. Now, consumers experience an increase in income, and therefore want to buy more of the wine at the current price. The increased demand allows the firm to charge a higher price, which increases marginal revenue. Because marginal revenue exceeds marginal cost at the current output level of 5,000 cases, the firm has an economic incentive to expand production. As it produces more wine the marginal cost of additional cases increases. Eventually, marginal revenue equals marginal cost at both a higher level of output and a higher price; for example, 6,000 cases at a price of $11 per bottle. Alternatively, if demand decreases, the profit-maximizing output and price would both decrease. How will a profit-maximizing wine firm respond to a change in cost arising from a change in the price of a variable input or the excise tax on wine? Extending the above example, suppose that the government increases the excise tax on wine. Because the firm must now pay a higher tax on each bottle of wine produced, this increases the marginal cost of producing the current output of 6,000 cases, and marginal cost therefore now exceeds marginal revenue. To maximize profit, the firm will respond by reducing the number of cases it produces, and marginal cost therefore falls. At the lower output level, the firm is able to charge a higher price, which results in an increase in marginal revenue. Eventually, marginal revenue once again equals marginal cost, but at a lower rate of production and higher price, say 5,000 cases at a price of $12 per bottle. By a similar line of reasoning, a profit-maximizing wine firm would respond to a lower excise tax by expanding production and reducing price. The same logic applies to changes in variable input prices. It is important to understand that a wine firm's fixed cost is a sunk cost, and therefore a change in fixed cost does not affect the profit-maximizing level of output. This is because the firm's profit-maximizing output choice involves marginal cost, which only includes those costs that vary with the level of output produced. For example, suppose that the government increases the property tax on the firm's vineyard land. This would have no effect on output and price, since property taxes are a fixed cost that do not change when the rate of production increases or decreases. However, the increase in fixed cost resulting from higher property taxes does decrease the firm's profit. In the long run, lower profits or losses may induce the firm to the leave the industry, which would reduce its level of output to zero. The logic of wine firm's choice presented above applies to profit-maximizing wine firms. However, suppose the owner of a wine firm derives utility from a nonmarket good that can only be obtained from the ownership of a wine firm, and he is therefore willing to trade off profit for this firm-specific source of utility. A non-profit-maximizing wine firm, like a profit-maximizing wine firm, will choose an alternative only if the marginal benefit exceeds the marginal cost, but now marginal benefit is not necessarily captured by revenue alone. To better understand the logic of non-profit-maximizing decision making, consider the example of an owner who gets satisfaction from profit and the prestige of producing a high-quality wine; given his preferences, he is willing to trade off profit for wine quality. Assume that quality and prestige are measured by wine critic scores. A higher score is associated with a higher-quality wine and more prestige for the owner. The firm must decide whether to improve the quality of a wine it currently sells and raise critic scores from say 85 to 90 points on a 100-point scale. To do this, it would need to hire an expensive winemaking consultant and purchase better-quality, higher-priced grapes, and the marginal cost of this quality improvement is therefore $100,000 per year. The higher quality of the wine would enable the firm to charge a higher price and earn an additional $75,000 in revenue. If the objective of the firm was to maximize profit, then it would choose not to undertake the quality improvement. This is because the marginal benefit, measured by the additional revenue of $75,000, is less than the marginal cost of $100,000, and the firm would consequently reduce its profit by $25,000 per year. However, because the owner derives satisfaction from wine quality as well as profit, the marginal benefit of quality improvement is not accurately measured by the dollar value of additional sales revenue alone; it must also include the benefit the owner gets from the prestige of quality enhancement. Suppose the owner is "willing to pay" a maximum of $40,000 in the form of reduced profit for the satisfaction of making a higher-quality wine. In this case, the marginal benefit of $115,000 exceeds the marginal cost of $100,000 and the firm will choose to trade off $25,000 in profit for the five-point improvement in quality. To maximize owner utility, the firm will continue to enhance the quality of the wine product as long as marginal benefit exceeds marginal cost. It is much easier to explain the behavior of profit-maximizing than non-profit-maximizing wine firms, since the choices of the former are more predictable than those of the latter. Because a non-profit-maximizing wine firm is willing to trade off profit for other sources of utility, it is necessary to know what those sources of utility are and the benefit the owner experiences from them. For example, if the objective of a wine firm is to maximize profit, then it follows logically that it will always choose the method of production that minimizes the cost of producing any given quantity and quality of wine output. A non-profit-maximizing wine firm, on the other hand, may not necessarily behave this way. If the owner derives utility from owning vineyard land and employing family members, he may choose a method of production that has more than the cost-minimizing amount of vineyard land and labor. To predict these non-cost-minimizing choices, it is necessary to know that the owner derives utility from vineyard land and nepotism, as well as the value the owner places on these nonmarket sources of utility. A market is any set of arrangements by which buyers and sellers make an exchange. Most market transactions involve the exchange a good or service for money. For our purposes, the wine market refers to the markets on which wine grapes and wine are bought and sold. The type of wine traded in this market can be either wine that a firm packages in a bottle or box and sells to consumers or bulk wine that one wine firm sells to another. The market for newly released wine is called the primary market; the market for previously released wine is called the secondary market. A market can be organized as a direct-search market, brokered market, dealer market, or auction market. The wine market incorporates all four of these organizational mechanisms. In a direct-search market, buyers and sellers seek out and find one another directly without the assistance of a third-party intermediary. About 95 percent of wine-grape and bulk wine sales are direct-search transactions. On the other hand, less than 10 percent of packaged wine sales involve wine firms selling their products directly to consumers at a tasting room or shipping wine to consumers by package carrier to fulfill wine club or Internet orders. A brokered market is organized by third-party intermediaries called brokers. Brokers specialize in collecting information about opportunities for exchange and matching potential buyers and sellers of a good. They never take ownership of a good, and they are paid a commission for the services they provide. Brokers exist in the market for wine grapes and bulk wine. Although it is still relatively small, a growing proportion of transactions are taking place through brokers who have specialized knowledge of wine-market conditions, and these often assist buyers and sellers in negotiating contract terms and mediating disputes. Many wine firms also use brokers to arrange transactions with wine distributors and retailers. The major advantage of trading through a broker is that it reduces the cost of searching for another party with whom to make a satisfactory exchange. Of course, a rational wine firm will only choose to use a broker if the expected reduction in search cost exceeds the broker's commission. A dealer market is organized by third-party intermediaries called dealers. Dealers purchase goods for their own inventory and attempt to resell them at a higher price than the purchase price. The difference between the buy price and the sell price is the dealer's markup, which is compensation for services provided. These services include reducing the search cost of exchanges to parties who buy from and sell to the dealer, and assuming the risk of reselling the goods held in inventory should market conditions change. The primary market for packaged wine products is largely organized by wine distributors and retailers who function as dealers. Wine firms sell more than 90 percent of their newly released wine to consumers through distributors and retailers. On the other hand, dealers do not exist and therefore play no role in organizing wine-grape and bulk wine transactions. In an auction market, buyers and sellers submit bid and asked prices for a good either at a physical location, such as an auction house, or on a website. Transactions are carried out through a human or electronic auctioneer at prices that are mutually agreeable for the participating parties. The secondary market for wine products is largely organized as an auction market. Previously released, age-worthy, luxury wine products, such as first-growth red Bordeaux and Napa Valley "cult" wines, are typically traded on the secondary auction market at large auction houses like Christie's and Sotheby's, a number of smaller auction houses, some retail wine stores, and several websites. Supply-and-demand analysis is the cornerstone of economics. It is a theoretical construct used by economists to organize their thinking about how buyers and sellers interact in a market setting, and how the price and quantity bought and sold of a product emerge from these interactions. It was conceived to explain price and output determination in a competitive market with a large number of buyers and sellers of an identical product who individually have no power to influence price, but it is also useful in analyzing markets that deviate somewhat from this perfectly competitive structure, such as the wine market. Figure 2 illustrates market demand and supply curves for wine. The average price of a 750 ml bottle of wine is measured on the vertical axis and the quantity of wine in billions of bottles per year is measured on the horizontal axis. The demand curve is downward-sloping, reflecting the law of demand: at higher prices, consumers desire to buy less wine, and at lower prices more, all else being equal. The supply curve is upward-sloping, reflecting what economists call the law of supply. All else being equal, at higher prices, producers are willing to increase the quantity of wine they supply on the market. When wine firms receive a higher price for their product, they are able to cover the higher marginal cost of production that results from the law of diminishing returns and earn greater profits by expanding output. The opportunity to make greater profits provides a strong economic incentive for a typical wine firm to offer more of its product for sale to consumers. Given these supply-and-demand conditions, the market clears at an average price of $7.50 per bottle and 4 billion bottles of wine bought and sold per year where the demand curve intersects the supply curve. This intersection point is called market equilibrium, and the price and quantity are called the equilibrium price and quantity. A price of $7.50 is the only price at which the number of bottles of wine consumers are willing to buy equals the quantity firms are willing to sell. Since the rational decisions of buyers and sellers are consistent, there is no economic incentive for either party to change its behavior, and the wine market is in a state of balance. In a competitive market, any price higher or lower than $7.50 is not sustainable, since the decisions of buyers and sellers are inconsistent. For example, at an average price of $8 per bottle, wine firms produce and are willing to sell 4.25 billion bottles per year. However, wine consumers desire to purchase only 3.75 billion. As a result, there is a surplus of 500 million bottles on the market, and wine firms therefore experience an unwanted increase in inventories. To reduce excess inventory, a typical wine firm cuts its price to entice consumers to purchase more, while at the same time lowering its rate of production. The lower price provides consumers with an economic incentive to buy more wine, and the quantity of wine demanded therefore increases. The market will continue to adjust until the price of wine falls to $7.50 and quantity demanded equals quantity supplied at 4 billion bottles per year. What happens if price is below $7.50, say, $6.00 per bottle? At this price, consumers desire to purchase 4.5 billion bottles of wine, but wine firms produce and are willing to sell only 3.5 billion, so the market is characterized by a shortage of 1 billion bottles of wine per year. Consumers find that a number of wines they want to buy at the current price quickly sell out and are difficult to find. The excess demand for wine puts upward pressure on price. As price rises above $6.00, this gives wine firms an economic incentive to ramp up production, and the quantity of wine supplied increases. At the higher price, some consumers are willing to buy less, and the quantity demanded falls. This adjustment process will continue until equilibrium prevails in the market. A change in any factor, other than price, that affects the amount of wine consumers desire to purchase and the quantity producers are willing to sell will shift the demand or supply curve, temporarily disrupt market equilibrium, and result in a change in the equilibrium price and quantity of wine bought and sold. Anything that increases (decreases) the amount of wine consumers desire to buy at any possible price will increase (decrease) demand, shift the demand curve to the right (left), and increase (decrease) the equilibrium price and quantity. This is illustrated in figure 3. An increase in demand moves the demand curve to the right from D1 to D2, increases equilibrium price from P1 to P2, and increases equilibrium quantity from Q1 to Q2; a decrease in demand moves the demand curve to the left from D2 to D1, resulting in a lower price and quantity. Any factor that increases (decreases) the amount of wine that firms are willing to produce and sell at any possible price of wine will increase (decrease) supply, shift the supply curve to the right (left), decrease (increase) equilibrium price, and increase (decrease) equilibrium quantity. This is illustrated in figure 4. An increase in supply moves the supply curve to the right from S1 to S2, resulting in an decrease in price from P1 to P2 and an increase in quantity from Q1 to Q2; a decrease in supply moves the supply curve to the left from S2 to S1, increasing price and decreasing quantity. Economists maintain that the most important factors that affect market demand and shift the demand curve are income, prices of substitute and complementary goods, tastes and preferences, and population. If wine is a normal good, then an increase in income increases demand, and a decrease in income decreases demand. For example, supply-and-demand analysis predicts that wine demand will increase during periods of economic expansion, when aggregate output and income are rising, and decrease in periods of economic recession, when aggregate output and income are falling. Ignoring other possible factors that might change over the business cycle, the rise in wine demand during an economic expansion shifts the demand curve to the right, resulting in higher wine prices and a larger volume bought and sold. Conversely, during a recession, the wine demand curve shifts to the left, and price and quantity fall. An increase in the price of a substitute good increases demand, while an increase in the price of a complementary good decreases demand. Conversely, demand decreases when the price of a substitute falls and increases when the price of a complement falls. For example, many people consider wine to be a substitute for other alcoholic beverages such as beer and spirits. Between 2006 and 2010, the average price of wine decreased by about 12 percent relative to the average price of beer and spirits. All else being equal, this would have resulted in increased wine demand, higher wine prices, and greater wine consumption as some consumers substituted wine for the relatively higher-priced beer and spirits. On the other hand, during the same period of time, beef prices increased by about 11 percent. If consumers view wine and beef as complementary goods, then the increase in beef prices would have had the effect of reducing wine demand, wine prices, and wine consumption as consumers chose to have fewer meals with beef and its complement, wine. Many consumers view imported wine as a substitute for domestic wine. As a result, supply-and-demand analysis predicts that an increase in the value of the dollar relative to the currencies of foreign wine-producing countries such as France and Australia will decrease the demand for domestic wine as consumers substitute relatively lower-priced imported wine. Tastes and preferences for wine may be influenced and shaped by a wide range of factors. These include advertising, wine critic scores, health considerations, cultural influences, and demographic characteristics. Anything that results in a favorable change in consumer taste for wine will increase demand. A shift in preferences away from wine will decrease demand. Some wine-market analysts argue the most important factor affecting wine consumption is consumer perception of the health effects of wine. They contend that the demand for wine has increased dramatically because of the large and growing number of medical studies that find evidence that moderate wine consumption promotes good health. Supply-and-demand analysis predicts that, all else being equal, this shift in preferences toward wine resulting from the perception of wine as a healthy beverage will increase wine prices and the quantity produced and consumed. The last important factor influencing market demand is the size and age distribution of the population. A rising population increases the number of potential consumers in a market, which translates into a bigger demand for most products. For example, total wine consumption in the United States is higher than in any other country in the world, including France and Italy, where wine is an integral part of culture and lifestyle. However, this can be largely explained by the fact that the population of the United States is more than five times bigger than the populations of France and Italy. A major reason the United States consumes more wine than these countries is that we have a larger demand for wine, because we have substantially more potential wine consumers. On a per capita basis, France and Italy each consume more than five times as much wine as the United States. The proportion of the population falling into different age groups can also have a significant effect on demand. Studies of the U.S. wine market find that individuals thirty-five years of age and older consume substantially more wine per capita than those under the age of thirty-five. All else being equal, supply-and-demand analysis therefore predicts that the aging of the population will increase wine demand, price, and quantity. Economists argue that the most important factors that affect market supply and shift the supply curve are input prices, excise taxes and subsidies, technology, prices of substitute goods in production, and the number of firms in the industry. Anything that increases (decreases) cost will decrease (increase) supply. The most important factors that affect the cost of producing a given quantity of wine are the prices a wine firm pays for its inputs, the excise tax on alcoholic beverages, government subsidies, and advances in grape and wine technology. The most important input used to produce wine is grapes. Lower grape prices reduce the cost of producing any given output of wine, increase profit, and give wine firms a strong incentive to raise production. All else being equal, the increase in market supply leads to a lower price and greater wine consumption. The opposite occurs when grape prices rise. Grape prices, in turn, are significantly influenced by year-to-year variations in weather and other growing conditions. In years with favorable growing seasons, grape and wine supply tends to be higher and prices lower than in years with poor growing seasons. Federal and state governments impose excise taxes on wines that are collected directly from producers. Wine firms view these as another variable cost of production. Higher excise taxes raise costs and reduce profits and wine supply. Lower excise taxes lead to greater production and consumption of wine and lower prices. When government provides a subsidy to a producer, this typically reduces the firm's cost of production and increases supply. Some states give subsidies to growers to provide an economic incentive to grow more grapes. One midwestern state gives growers a money payment of up to $1,000 per acre to develop new vineyard land. Another provides a tax credit to growers to reduce the cost of expanding grape production. Supply-and-demand analysis predicts that these types of subsidies will lead to increased grape and wine production and consumption, and lower prices, all else being equal. Advances in grape and wine production technology increase productivity, reduce cost, and increase supply. During the past fifty years, the wine industry has witnessed dramatic advances in grape-growing and wine-production knowledge. Much of this knowledge is embodied in capital equipment such as mechanical harvesters, pruners, and sprayers; computerized, temperature-controlled fermentation tanks; and pneumatic presses. Supply-and-demand analysis predicts that these sorts of technological advancements contribute to lower grape and wine production costs, increased wine supply, and lower prices for consumers. Two important non-cost factors that affect supply are the prices of substitute goods in production and the number of producers in the industry. Two goods are substitutes in production if they can be produced by a firm with similar resources and production processes. For example, merlot grapes and wine are a substitute in production for other types of grapes and wine such as zinfandel. In the early 1990s, the TV news show 60 Minutes aired an episode summarizing medical evidence suggesting that drinking red wine resulted in a longer life span for the French, even though they smoked more, consumed more red meat, and exercised less than Americans. In response to this "French paradox," the demand for red wine increased dramatically, particularly soft, fruity, sweet tasting Merlot, which many Americans started to consume in place of the popular sweet White Zinfandel. As a result, the price of Merlot increased and that of White Zinfandel fell. This gave grape and wine producers an economic incentive to produce more of the relatively higher-priced Merlot and less of the relatively lower-priced White Zinfandel. In response, the supply of Merlot increased and the supply of White Zinfandel decreased. Supply-and-demand analysis predicts that the increase in the supply of Merlot, considered by itself, would lead to an increase in equilibrium quantity and put downward pressure on price. Lastly, an increase (decrease) in the number of grape growers and wine firms in the industry will increase (decrease) supply. All else being equal, the entry of new grape growers and wine firms into the industry shifts the supply curve to the right, increases equilibrium quantity, and decreases equilibrium price. James Thornton is Professor of Economics at Eastern Michigan University. He publishes in Applied Economics and other journals and is a member of the American Association of Wine Economists and the American Economic Association. "American Wine Economics does a fine job of bringing together economic analysis of wine firms, wine consumers, and wine markets along with an excellent selection of recent research. No similarly comprehensive volume exists."